Why Does Restarting an Electronic Device Resolve Many Issues? 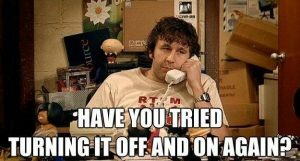 If you’ve ever watched the British comedy program “The IT Crowd”, or really just called certain IT departments, you may have heard the following response. “Hello. IT. Have you tried turning it off an on again?” It can’t be that easy to fix a computer or mobile device, can it? In this piece, we’re going to look at why restarting a device may actually be all that is required to remedy many processing issues. If you’ve ever been told, “Well, have you turned it off and on again?”, you may feel like the technician is questioning your intelligence. Still, in many instances, we actually haven’t tried that. Sometimes, we assume that problems are much more severe than they actually are. Part of the reasoning for this is because we don’t want to admit our own ability to be derailed by such seemingly insignificant issues. We feel that if there is an issue that we haven’t been able to resolve, it must be major. 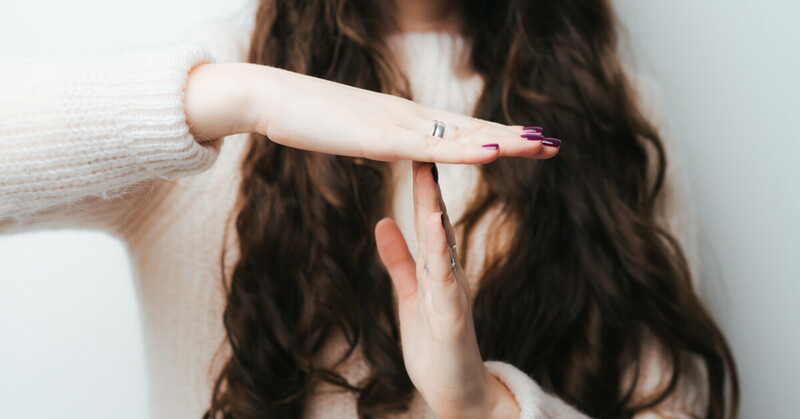 In addition to restarting being fairly effective, having the mindset to perceive the minor issues before we make mountains out of molehills can help us take a few steps back, look past our pride, and fix easy problems. In order to simply survive, our brain is making sure our lungs are breathing, that our blood is becoming oxygenated and that our heart is pumping this blood throughout our body. While this is happening, it’s also making sure our digestive system is processing food properly, that our liver and kidneys are cleaning out our systems, and interpreting signals from thousands upon thousands of nerves. In addition to simply keeping you alive, it’s also helping you concentrate well enough to drive a car, balance your checkbook, and remember to pick up the kids from soccer practice. However, without getting a good night’s sleep, things start to go haywire. You forgot to pick up your son from cub scouts. You sit at a green light and cars behind you begin to honk. You find yourself having to re-read the same sentence in an email just to make sense of it. The more sleep you miss out on, the more energy your brain allocates to simply keeping your vital bodily functions operating, leaving less power to allow you to process details. Computer systems are very similar to our own brains. In addition to maintaining a connection with the internet or an intranet and a variety of wirelessly connected accessories, they’re simultaneously processing a myriad of commands. Your internet browser alone is typically juggling multiple tabs that are all processing informing from various websites. As your system is pulled in many different directions, it can only handle so much. Certain loads begin to lag, some freeze, others crash. It’s much like a young child becoming frustrated when they are tired. Their brains are over-taxed and in need of a break. What is the answer for both systems? A rest and restart. Restarting your device can be akin to getting a rest following a busy day. A restart allows your device to stop processing unnecessary actions and to prioritize what to process. An even greater restart may be unplugging all power supplies to your system and letting it sit for 10-20 seconds. The reason for this may be that some components will continue to process information after the main system is turned off. So, no, we’re not questioning your intelligence when we ask “have you tried turning it off and then turning it back on again?” We’re simply attempting to help you find the easiest solution to your problem. Like people, for a wide variety of processing issues, sometimes the only thing a computer needs is a nap. If restarting your computer doesn’t do the trick, we’d be happy to help you remedy whatever is wrong with your computer. You’re invited to learn more about Tulsa’s computer repair experts Geeks To The Rescue by visiting our main website or just by giving us a call at 918-368-GEEK (4335).